The Professor and his rag-tag band managed to survive the attack by the shadowy cults that seek their destruction, but they are far from safe. While nursing their wounds from their terrible battle, the True Dreamer amongst them receives an evil portent, one which their enigmatic leader cannot ignore. Skyrock, their refuge and destination, is at risk, and the future of the Gray Order hangs in the balance. 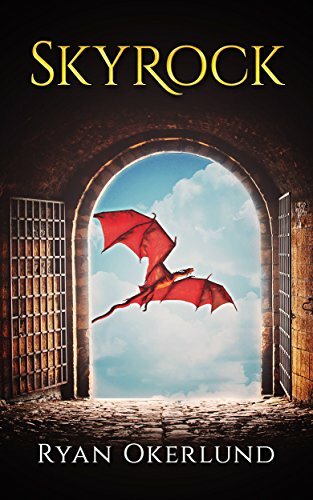 Facing injuries, hunger, and the chaos that dominates America now that magic has once again gained primacy, the Professor and his band must make it to their refuge before the rival Orders can regroup. Winter is closing in, food is growing scarce, and time is running out. Magi and Chosen must stand together again for the first time in millennia to preserve their way of life, and end the threat posed by the rival Orders. Will the work of countless generations of Gray Order adherents be destroyed? Will the Chosen’s fledgling powers be enough to hold back the tide of chaos and fear that is sweeping over the land? Will Tiersyvon’s diminished powers be enough to guard them against the armies that are soon to march on their gates?